By utilizing years of industrial experience, we are engaged in offering a qualitative series of Hospital Equipment. These products are available in diverse sizes, shapes designs and other related specifications as demanded by our clients. A series of tests are performed by our quality controllers to deliver a defect free product to our clients. This equipment is widely used in hospitals, nursing homes, health centers and other such places. 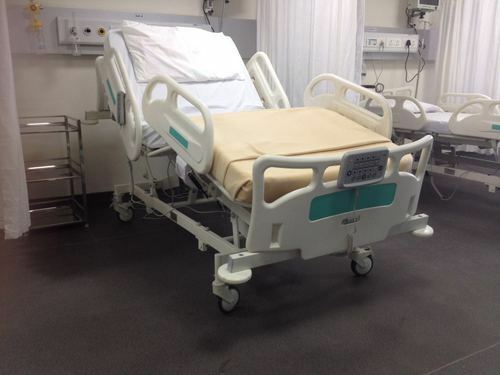 ICU Bed (7 function) with electrically operated back rest tilting 0-70°, knee rest tilting 0-35°, trendelenburg tilting 0-17°, Reverse trendelenburg tilting 0-17°, mattress base tilting to the left up to 22°, tilting to the right up to 22°. Size: L 2180mm × W 970mm × H 555-955mm (Adjustable Height). Epoxy coated mild steel frame work with perforated top and X-ray permeable backrest. All functions controlled with DEWERT motor from Germany Power Device (Actuator), 220 - 240 V AC, 50 Hz. (110 V on request). Four easy lifting guardrails (2 on each side), which are safe and reliable, and can be fixed upward and downward. Embedded controls on both sides of guard rails. Removable ≥ interchangeable high quality beautiful ABS engineering plastic head panel and foot panel. CPR position button for bed to reach "Zero" position Quickly. 125mm Dia. Noiseless Luxury castors with Central braking system. Drainage hooks on two sides. Provision for I.V. Rod on all sides of the bed. 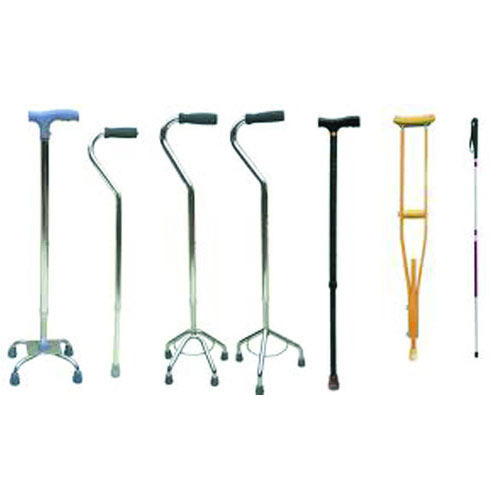 Being a client-centric organization, we are offering a wide range of Walking Stick & Crutch in the market. These products are used by disabled people. Our products are available in a variety of sizes, shapes and other specifications in order to meet variegated needs of our valuable clients. These products are appreciated for their long life, excellent strength and other salient features as compared to other market products. Our rich industrial experience supports us in offering a wide gamut of Walker With Wheel. 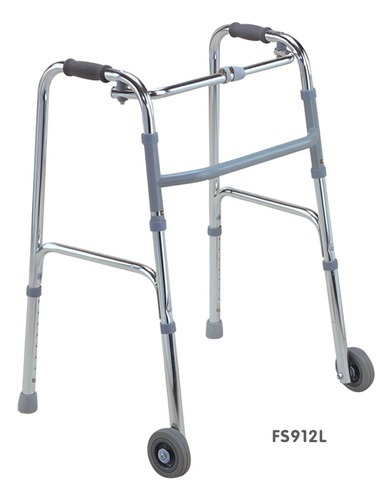 These walkers are extensively used in hospitals and health Centers. We manufactured these walkers using latest machines in order to maintain their adherence to globally set standards. These products are demanded all over the world for their premium quality and rust free body. We offer the entire range in customized options and at industry leading rates. With the help of contemporary technological developments, we are offering a broad collection of Saline Stand. Our offered range can be customized as per variant requirement of our clients. These saline stands are pretreated and epoxy powder coated by the team of professionals. Our products have a tubular structure with heavy cast iron base. Our products are available in three legs, four legs with or without 50mm diameter with revolving casters. 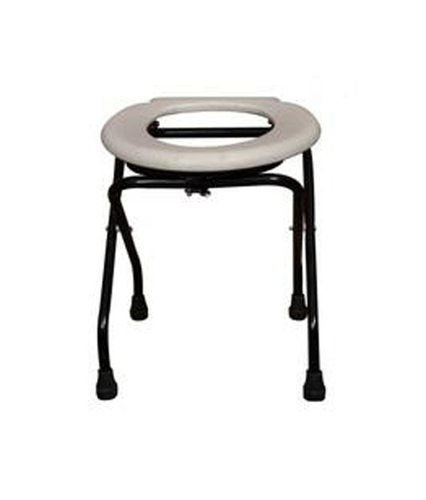 With our depth knowledge and experience, we are engaged in offering a wide gamut of Folding Commode Stool to our prestigious clients. These products are highly appreciated for their compact design and other features. The offered range is manufactured using premium grade raw material and advanced technology in compliance with set industry standards. In addition to this, our products are convenient for old and handicapped people. We have engaged in offering a wide gamut of Hospital Water Bed to our esteemed clients. These beds are effective in providing hydrotherapy. Our beds are precisely designed in order to maintain their compliance with universally accepted norms. These offered products help in furnishing fully relaxation by removing pressure from the spinal muscles. Our well designed products are acknowledged for their easy maintenance and industry-approved features. Effective in BED SORE prevention. 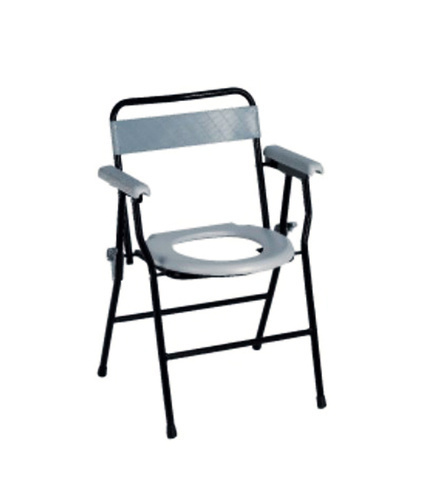 Owing to our expertise in this domain, we are engaged in offering a supreme quality Folding Commode Chair to our prestigious clients. These are manufactured by a team of qualified professionals possessing wide knowledge. These products are widely praised by our clients for their excellent framework and perfect finish. The offered range is tested by our quality controllers on various parameters of quality in order to ensure their flawlessness. We have emerged ourselves as a leading manufacturer, exporter, wholesaler and supplier of a comprehensive range of Toilet Safety Rails. These toilet rails are demanded for their premium quality, perfect finish and other unique features. With easy adjustment of the height and width, these offered rails are available in varied specifications as per the clients diverse requirements. 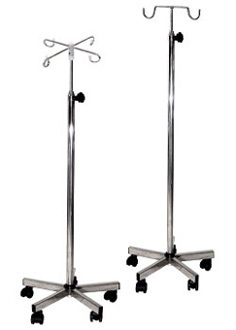 These are used in hospitals, nursing homes, clinics and other such places. Powder coated / Stainless Steel. 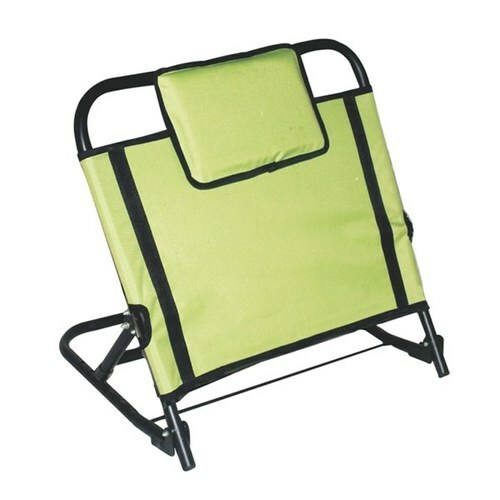 To cater variant requirements of our clients, we are offering a broad assortment of Back Rest. These products are manufactured by our team of professionals using premium quality steel and other raw material. The offered range can be adjusted at desirable positions as per the client's preferences. 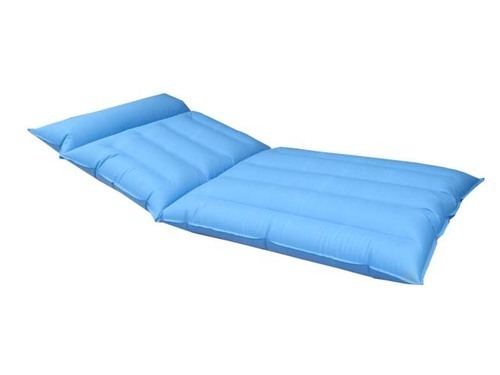 These products can be placed under the mattress and suitable for all size beds. Our products are well known for high load bearing capacity. We are offering a vast collection of Bed Pan. 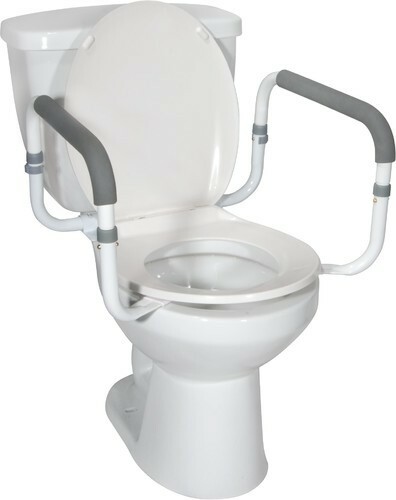 Our products are used for toileting bedridden patient in health care facilities. Manufactured using high grade stainless steel, glass, plastic and other raw material, these bed pans can be easily sterilized in order to prevent bacterial infections. 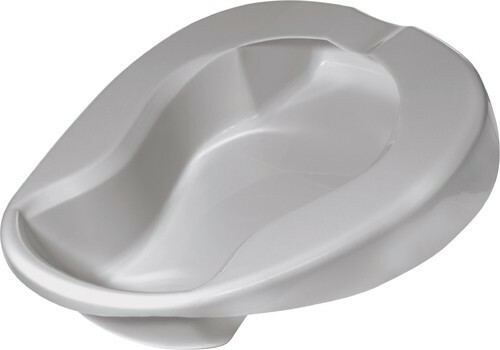 The offered products are available in different shapes like sleeper, perfection and round bedpan as per client's choice.